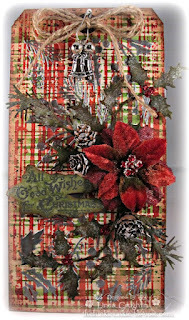 Linda’s tag, this week used a (Stencil) to create a plaid background. Tim’s stencil(Stripes # THS-004) What a brilliant idea!! I had to try her technique on my tag. 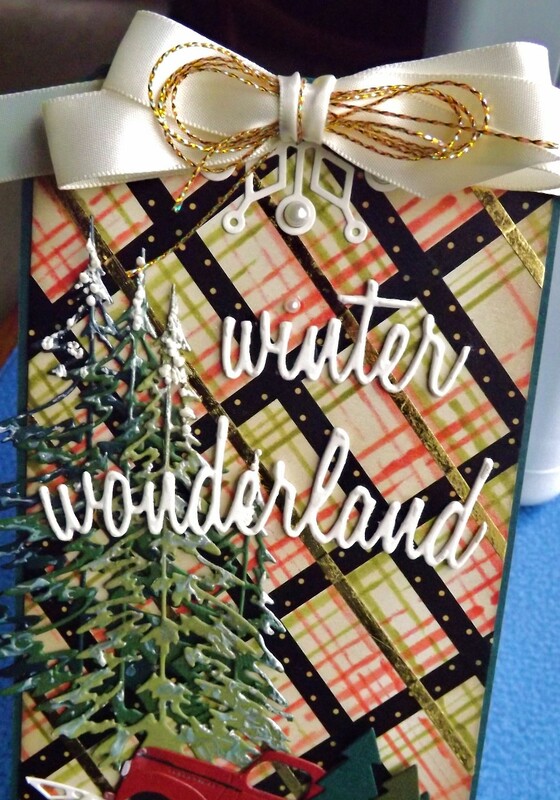 I also used Washi Tape and Thermo-web Gold Deco Foil. Distress inks Peeled Paint and Ripe Persimmon. Little Truck from Impression Obsessions. 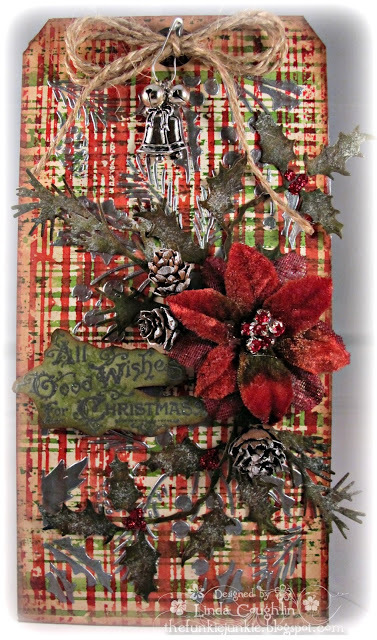 Labels: 12 Tags of Christmas Funkie Junkie Style; The Funkie Junkie Boutique., Impression Obsessions, Simon Says Stamp. OMG, I just love this tag, Vada! 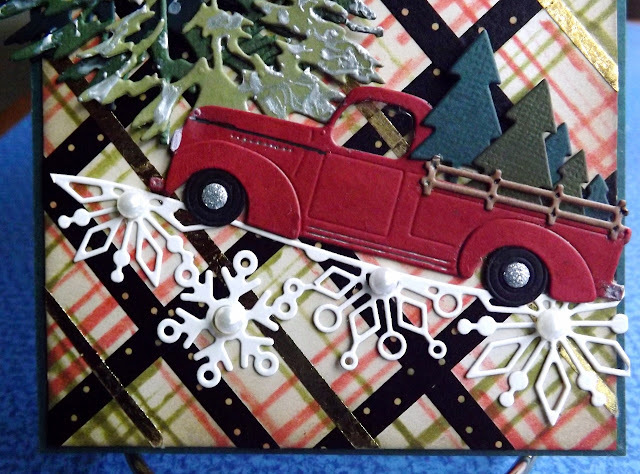 That plaid rocks and the red truck is so inventive and fun! Love it! Hugs! Hi Vada, I am in awe with this amazing little scene you have set - just awesome! Love your background and how you built up the additional layers and that truck of trees is just the best addition! Awesome tag - love it! Oh my, this is absolutely fantastic, Vada! 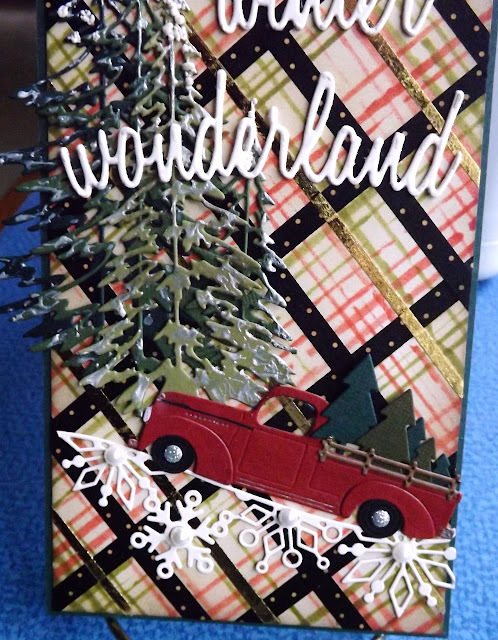 Your plaid background came out sensational and that pickup truck is crazy cute! 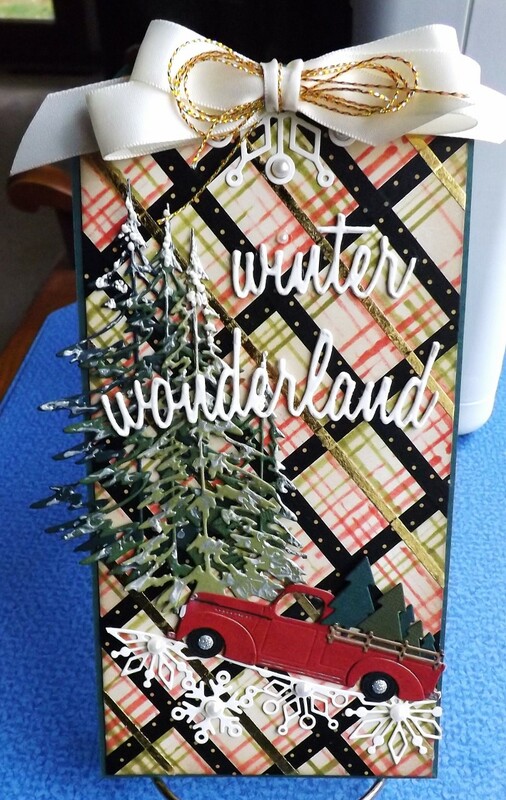 Your Woodlands trees are so perfect on the plaid and the Winter Wonderland sentiment looks terrific. This tag has me grinning. Thanks so much for sharing it with my visitors.